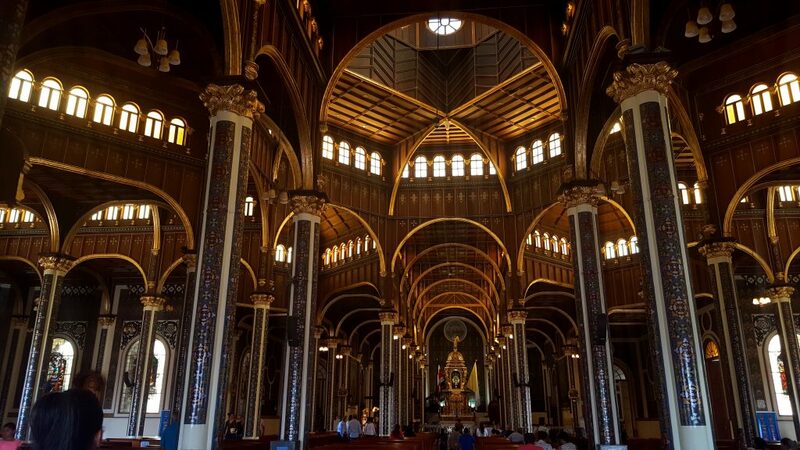 Costa Rica is a little bit Catholic. About 76% of the population identifies as Catholic, though the percentage of practicing Catholics is slightly lower. 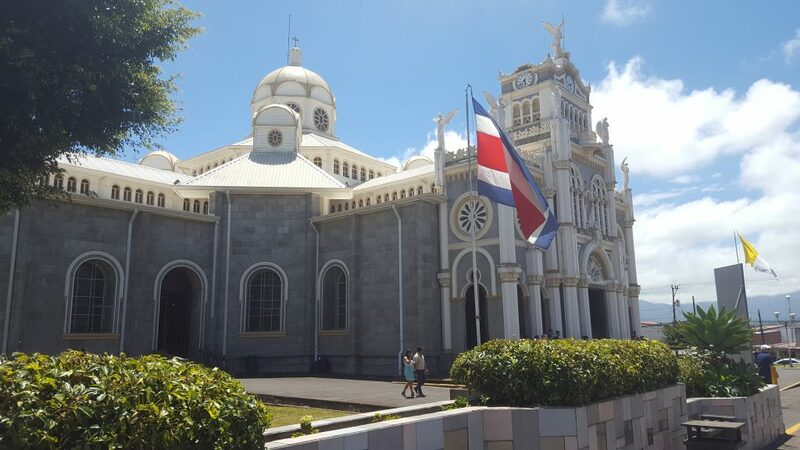 Costa Ricans can also boast of belonging to the only state in the Americas with Roman Catholicism as the official state religion, ever since their 1949 constitution declared it so. And because no Catholic country is complete without a patron saint, the Virgen de los Ángeles, also called La Negrita, was named to the position 1824. She comes with a rather unique history, one that all Costa Rican children hear as they grow up. The story begins on August 2nd, 1635. According to legend, a native woman was out collecting firewood in the forest when she encountered a small black stone statuette of the Madonna and Child. Amazed at her find, she brought it home for safekeeping. The next day she was walking in the forest again, and once more found a statuette. Assuming it was the second of its kind, she picked it up and brought it back – only to discover that the first had gone missing. Still, she dutifully stored the “second” statuette in her home. When it vanished and she again found the statuette in the forest on the third day, she brought her priest to the spot. He also tried to take the statue for safekeeping, only for it to vanish and reappear once again in the forest. At this point, the duo decided that the best option was to build a shrine around the spot, and dedicated it to Mary, Virgin of the Angels. Many years later, a church was built around that shrine. Pope Pius XI elevated the shrine to a basilica in 1935, though the Virgin of Angels has not been added to the list of canonically approved Marian apparitions. People believe the legend to varying degrees. Some say that the story arose from hyperactive imaginations, others say that it was a deliberate fiction constructed by the 16th century priest and woman. Many believe in the apparition completely; on August 2nd, Virgen de los Ángeles Day, the roads swarm with pilgrims on their way to the Basílica de Nuestra Señora de los Ángeles in Cartago, where the statuette is now housed. Flags of Costa Rica and Vatican City flank the basilica entrance. I had the privilege of visiting this basilica last weekend, as it is just an hour away from my current homestay in San Pedro. The building itself was gorgeous—see the photos below! But what was most unforgettable, and beyond my capacity to share, was the incredible devotion of every person present. Their hushed prayers were filled with an aching reverence unlike anything I have seen or heard before. Countless people of all ages streamed in through the main entrance and crawled the length of the church on their knees, just for a glimpse of La Negrita and a taste of the celestial reality she makes present on earth. It was both beautiful and humbling, and will not be easily forgotten. The La Negrita statuette is housed in the large golden shrine behind the altar. Click on the photos below to expand them! Every window was enormous and composed of intricately detailed stained glass. Statues of many different saints are positioned around the basilica. This one depicts St. Anthony of Padua. I believe this window is celebrating another famous Marian apparition, Our Lady of Lourdes. Next Next post: ¡Fui a un Espectáculo de Flamenco!/ I went to a Flamenco Show!